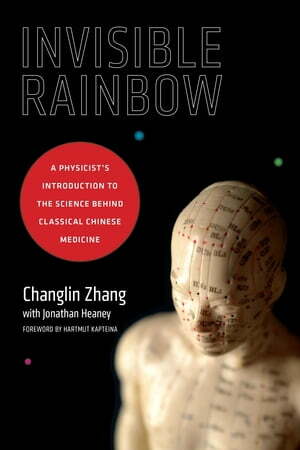 Collins Booksellers - Invisible Rainbow by Changlin Zhang & Jonathan Heaney, 9781623170110. Buy this book online. Changlin Zhang provides a scientific basis for the success behind alternative therapies such as acupuncture, qigong, Ayurveda, and other traditional therapies in an illuminating discussion that explains the efficacy of these approaches in treating a number of chronic conditions. Underlining how public perception of acupuncture has shifted over the last few decades from one of skepticism to one of acceptance, he explores the progression of acupuncture research from its unsuccessful beginnings to the ultimate discovery of a scientific basis for therapies centered on the subtle coherence patterns of interacting electromagnetic waves and fields. He explains the dissipative structure of electromagnetic waves that constitutes our electromagnetic body and describes how changes in our mood, lifestyle, and environment affect it. Invisible Rainbow explains these developments within the context of science's parallel development from its nineteenth-century focus on materialism, reductionism, and closed systems to its realization of the mass-energy equivalence, electromagnetic field, and its study of open complex systems. Discussing differences in Eastern and Western thought traditions and how they influence their respective medical systems, it also elucidates acupuncture's meridian system and Ayurveda's chakras and auras.